Sumiyoshi Taka-doro lighthouse in Sumiyoshi-ura, Osaka. 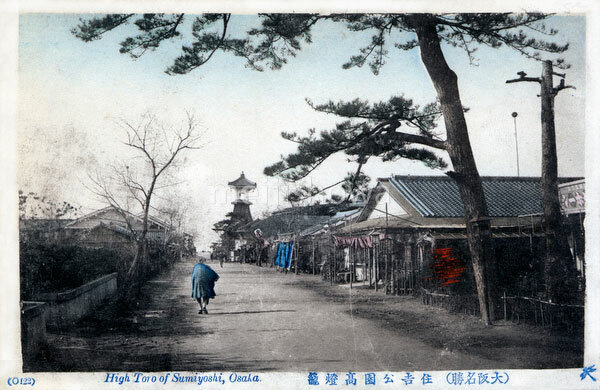 The tower was destroyed by typhoon Jane in 1950 (Showa 25) and rebuilt in stone. The lighthouse, which burnt rapeseed oil, was made as an offering to the guardian deity of Sumiyoshi Shrine at the end of the Kamakura period (1185–1333), making it Japan’s oldest lighthouse.